We offer installation, integration and training services for the Campbell Scientific data collection equipment and systems. We have over 15 years of experience installing, maintaining and customizing systems in many different applications. Intermountain Environmental, Inc. (IEI as it is often referred to), started business at the end of 1992. The founders had come from another instrumentation company by the name of Omnidata International. They had decided to leave their positions at Omnidata in the hopes of creating a company that could offer customers a broader line of products that would better meet each individual customer's requirements. They also wanted to be able to offer their expertise through services such as installation, training, and maintenance. In the first few years, IEI represented or distributed products from only a few companies, namely Omnidata, Hydrolab, and Greyline Instruments. However, over the years, IEI has developed relationships with many instrumentation manufacturers. This has made it possible to provide a much larger selection of the best environmental instrumentation products available. The majority of the products provided are for weather (climate) or water resource (ground, surface, waste water) monitoring. In 1997 IEI spun off a separate company; DACOM Technologies. The relationship between IEI and DACOM remains very close. IEI is the exclusive distributor for all products that are manufactured by DACOM. The creation of DACOM enabled IEI to improve support for customers who want total system integration and/or customized product development. 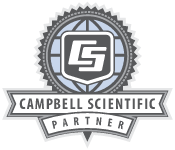 That same year IEI became an OEM distributor of Campbell Scientific (CSI) products and the exclusive Campbell Scientific representative in seven of the Western U.S. States. IEI now represents or distributes products from over 30 manufacturers of environmental instrumentation and we continue to look for, and to add, products that we feel meet our clients expectations in the areas of functionality, reliability, and price. IEI has called upon DACOM Technologies to integrate CSI dataloggers, communication technologies, and sensor technologies into powerful but simple to use systems. DACOM has designed several systems for IEI that are used for specific applications. Several of these are; the "Weather Sentry" for Fire Weather Monitoring, the "Storm Sentry" for ALERT Flood Warning, the "AquaPod" , and "PULS1" for water level monitoring. IEI provides all of the sales, marketing, and customer support for DACOM products. Through the use of DACOM's capabilities, IEI can now develop and manufacture systems that are customized to a particular customers specifications.